Giles Mountain Vineyard & Winery is operated by Tom & Diane Mullis, Maarten van Gelder, and Lori Robertson. 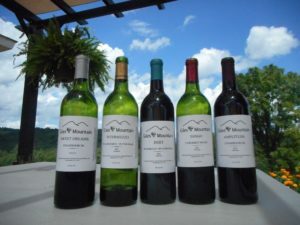 This mountain top winery has been in business for three years in Giles County. Their driving purpose is to provide exceptional regional wines to consumers. Giles Mountain Vineyard & Winery is a boutique winery providing unique wines that reflect their dedication to community, sustainability, and the beautiful Southern Appalachian Mountains. Their primary goal is to minimize their footprint on the land, conserve natural resources, reduce chemical dependence, while producing outstanding regional wines. They are proud to be green certified. Giles Mountain Vineyard & Winery welcome visitors to their estate winery in Staffordsville. 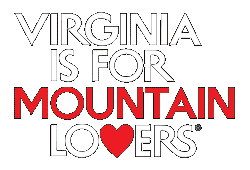 You can be a tourist in your own backyard and visit their winery at 290 Moye Road in Staffordsville, Giles County, Virginia. They are open to the public for tastings and enjoyment Saturdays from 1-6pm. They are also open by appointment and welcome you to call 540-818-0566 or 540-267-4126. You can find more about Giles Mountain on their website www.gilesmountainwinery.com or on Facebook.com/GilesMountainVineyardandWinery and Twitter.com/GilesMtnWinery. Special Note- Giles Mountain Vineyard & Winery is celebrating Educators!! They will be offering complimentary wine tastings for the month of May to all educators, with appropriate ID. Happy Business Appreciation Month & Happy National Teacher Appreciation Month!